MANIAC COP: Law Enforcement From Beyond The Grave? – Schlockmania! A title like Maniac Cop sells itself. You instantly get a mental image of a film with action, shocks and a certain go-for-broke exploitation movie sensibility. 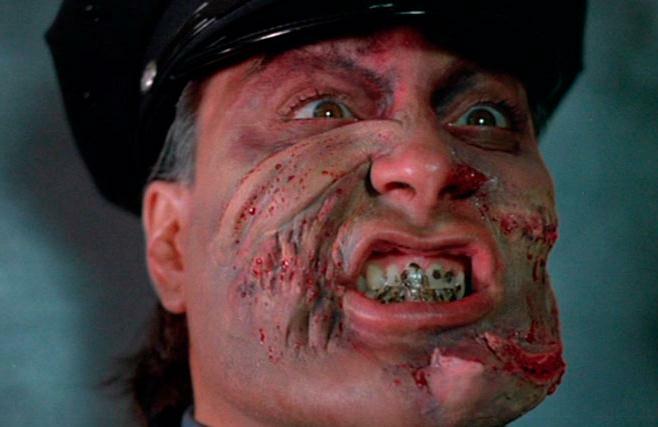 Thankfully for genre fans, Maniac Cop delivers all of the above elements… but the surprise is that it is also far more witty and stylish than you might expect. This is high-end exploitation filmmaking, the kind of film that rises above its b-movie origins with a one-two punch of imagination and craftsmanship. For starters, Maniac Cop is surprisingly plot driven: the main hook here is a mystery killer who randomly murders citizens while dressed in full police regalia. 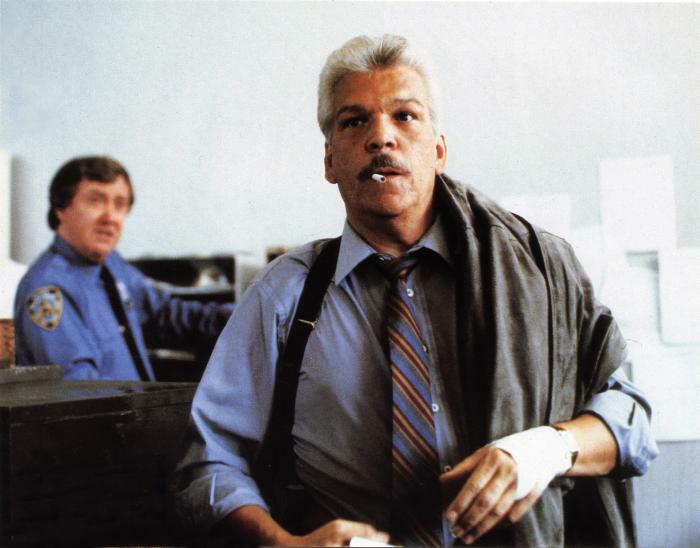 The police bureaucracy suspect it is the work of a psycho with a grudge against the men in blue but Detective Frank McRae (Tom Atkins) suspects it is a real cop. Despite the disapproval of Commissioner Pike (Richard Roundtree), McRae investigates and discovers some shadowy deeds involving the police brass that might inspire a revenge killer. Soon, a suspect turns up in the form of cop Jack Forrest (Bruce Campbell). He is apprehended when his estranged wife turns up dead after finding him bed with another woman. The “other woman” is fellow cop Theresa Mallory (Laurene Landon) so Jack reluctant to endanger her career by making her his alibi. However, the real killer still prowls the streets and he has an agenda that will force Jack, Theresa and McRae into action. 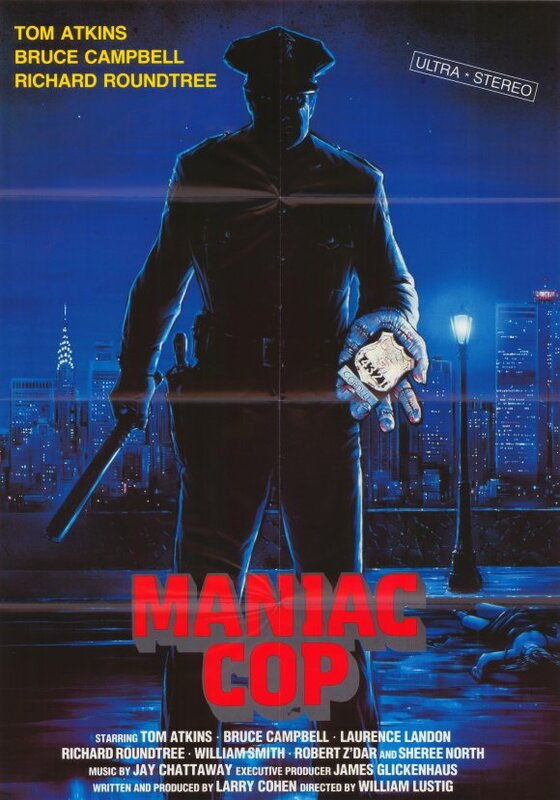 Maniac Cop does many different things at once – it’s a mystery, a police procedural, a slasher movie and an action flick – but it never skips a beat because its level of craftsmanship is as high as its level of inspiration. Larry Cohen’s script has a rush of creative excitement to it that manifests itself in the form of colorful characterizations, snappy dialogue and a streak of dark humor a mile wide. It deftly balances these elements with the kind of distinctive personal touch that you’d never see in a bigger-budgeted film. Better yet, director William Lustig applies plenty of energy to the narrative. The setpieces are all skillfully choreographed, getting the most out of Vincent Rabe’s atmospheric lensing and Jay Chattaway’s punchy orchestral-meets-electronics score. David Kern’s editing really brings shape to these sequences, especially an eerie titles sequence that sets the mood. Lustig is also savvy enough to bring a Hollywood level of production value to the proceedings, especially in the area of stunts. The finale, which involves a police van and a pier, offers a stunt worthy of anything in a contemporary Hollywood action flick. However, Lustig’ most important directorial contribution here might the way he selected a top-flight b-movie cast here and used it to maximum effect. Simply put, Maniac Cop is packed to the rafters with genre stalwarts and everybody brings their “A” game. Atkins is the heart of the movie, bringing maximum gravitas to the role of a cop who is obsessed for all the right reasons. Campbell gets more room to act here than he does in the Evil Dead films and he does well with it, particularly in an early scene with his wife. He also has nice chemistry with Landon, who is exactly the kind of brassy actress necessary for the film’s tough-chick role. And that’s not all that is worthy of praise in the cast. 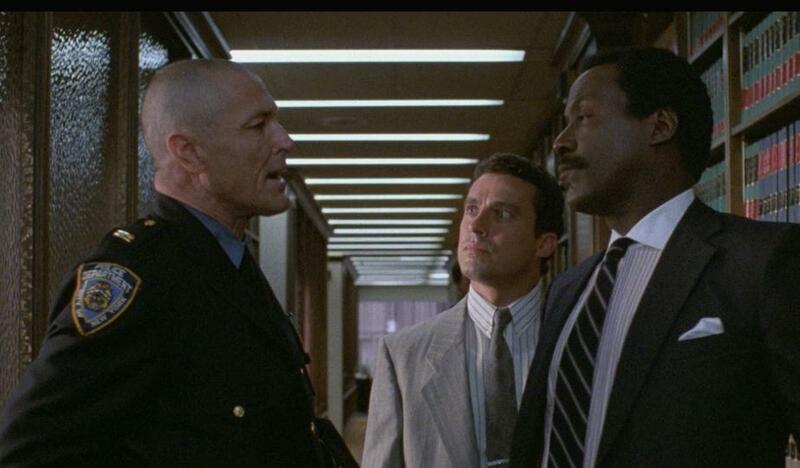 Be sure to look out for Roundtree and William Smith as a grizzled police chief: their scenes are few but both bring enough iconic presence to their work to be convincing as high-ranking cops. There’s also a stellar turn from Sheree North as an aging police clerk who holds the key to the film’s central mystery and fearsome work from Z’Dar as the otherworldly title character. Elsewhere, cameo spotters should keep an eye peeled for quick appearances from Sam Raimi, Jake LaMotta and Lustig himself as a motel’s night clerk. In short, Maniac Cop is one of the best films to emerge from the last real era of exploitation filmmaking, the late 1980’s. 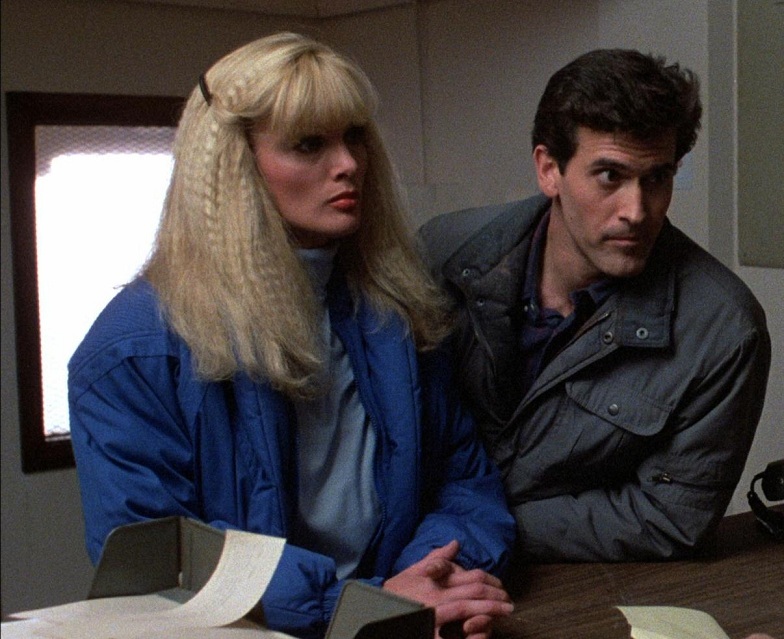 Cohen and Lustig would reteam for more films in the years to come – including Maniac Cop 2, the rare sequel that betters its predecessor – but their work here shows their creative chemistry was already firmly in place.